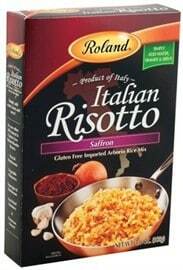 Click here to visit the Roland Italian Risotto facebook and like them. Then on the “Parmesan Risotto” tab, fill out the easy form. On the next page they’ll give you a unique bit.ly link. Get a friend to signup and you both will get 2 free boxes. Hurry though because I’m sure this will go quick. i love risotto, and italian risotto just gives it a feeling that you are in Italy, eating away on a gondalatte.